life – Sunshine. Whimsy. Tacos. 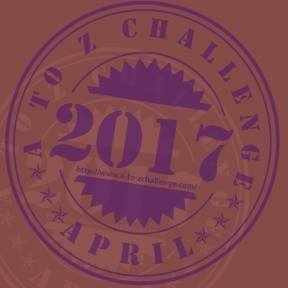 The A to Z challenge will not be completed by me this year. I’m finding that my attention is split between too many other things. I came to this conclusion after I spent forty minutes trying to come up with a D word, and I wound up somewhere between Aught and Zilch. As I write this exit stage left, I am sitting in Orlando with Amelie, and we’re making plans for the next few days. Today was a day for MyStuff, which mostly consisted of looking at potential places to live. (I could have written an entire post called D is for Decision, but I already talked about that two days ago.) Tomorrow is a day for HerStuff, which will mostly consist of going to places that might help her land an Orlando job. Thursday is unplanned so far, except for one more apartment to view just before dinner time, and Friday after work will likely be spent at least partially on Disney property. Saturday is a family event in nearby Kissimmee, and on Sunday we drive back to South Florida for a few days. About halfway through next week, we come back to Orlando for another four days- Star Wars Celebration. The following weekend, we drive back to Orlando, and then back again. It’s like this on and off throughout April and May- we’re flipping between South Florida and Orlando, as we try to get our respective ducks in a row, while simultaneously juggling my job, my on-call time (roughly half of every month), both of our gym work outs, and our ridiculously complicated entertainment calendars. How’s your April going so far? Administrative note: This post is part of the A to Z Blogging Challenge. Each Monday through Saturday in the month of April, I will write a new post- one for each letter of the alphabet. If you would like to participate, it’s never too late to start. Just look over the guidelines at http://www.a-to-zchallenge.com/. Today’s Nanopoblano post is kind of a cheat, because I feel like I have only a few words today. (Few words and kind of a head-ache.) Numbers, on the other hand, I have lots of. My brain doesn’t spin down much. 1 day to the Pet Shop Boys concert. 6 days to my elder brother’s 50th birthday. 9 days to Thanksgiving. Earlier in my career, I usually had to work Thanksgiving. That doesn’t happen any more, but I kind of miss it. There was always a camaraderie among those who were tapped to work a holiday. Plus the food was always provided by management. Those mashies were delicious. 13 days until the start of the four-way Supergirl-Flash-Arrow-Legends crossover event on the CW. I am so fricking excited to see Supergirl interact with more of the established Arrowverse characters, you have no idea. 17 days to my birthday. I’m not super enthused about this one. I’ve got bigger things on my mind right now than reaching 44. 18 days until Amelie and I go to see the B-52s! That’s gonna be a fun show. 21 days until my niece turns 6. I could swear she was a toddler about five minutes ago. I have no idea what to get her this year- for a little while, I could just get something related to Frozen and it would be a winner. I think if I got her another Frozen-themed gift, her mother might lynch me. 22 days until I move out of my apartment. At this point, my to-do lists have their own to-do lists. I’m sure I’m forgetting stuff. 30+1 days until the next Star Wars movie, Rogue One, comes out. This is the first feature film set in the Star Wars universe that isn’t about the Skywalkers and the Solos. I’m pretty jazzed about it. What’s the next thing you’re counting down to? Where will you be in 31 days? With apologies to Grandmaster Flash. Looming unemployment: I haven’t spoken much about this yet on the blog, but I found out a few weeks back that after more than fourteen years, my last day with Mr. Company is the 15th of December. This is something that we’ve all known is coming since certain announcements were made during the summer of 2015. Knowing that it’s coming at some vague future date is not the same thing as knowing precisely what your end date is, however. I know I’ll be able to get a job, but I’m nervous about what type of job that might be. After all, I still don’t know what I want to be when I grow up. Still, this is not insurmountable and I know I’ll get through this. I just have to plan for it and take some time to process everything. The end of my lease: My apartment lease ends on the 9th of December. Armed with the foreknowledge of my end of employment, and certain that I want to move out of South Florida, I chose to let the lease go. Over the next month, I will be putting my things in storage and relocating once more to my very gracious brother’s spare bedroom. His rent is much more reasonable than any South Florida apartment, and the company is marvelous. Large crowds and long distance travel: You’d never know it from all the trip reports in this blog, but I do have travel anxiety, and I definitely have problems in large crowds. This runs contrary to that thing where I keep going to concerts at big venues in faraway cities, but that’s my personal circle to square. My father’s health: This is another thing I don’t talk about very much on the blog, but it’s a huge stressor for me. Last winter, my dad fell and broke his hip. One year previously he had broken his other hip, so his recovery went much less smoothly this time around. His mobility has never quite recovered, and he uses a walker now. I go to visit him when I can, but that’s never more than once every week or two. It’s traumatic and astonishing to see my father change this way- my dad is about to celebrate his 78th birthday next week, but it’s only in the last two or three years that he’s really ever seemed old. The irrational fear of robbery: I have a minor OCD tick in which I check my door lock several times before I leave for the day. I do this every day. Intellectually I know that the door is locked the first time. Furthermore, there’s almost nothing in my apartment that is irreplacable- I usually take my laptop with me to work, and most of the things that are valuable to me would be worthless to another person. This thrice damned election: Every time I read anything about this election, it makes my heart beat faster. I had to stop listening to Rachel Maddow for a while because it was just too much. I have full blown election anxiety, and I’ll be really glad when it’s over. Change: After moving to Germany without knowing the language and having never been to Europe at any prior time, you might think that I take change in stride. In some cases, that’s true. I can handle small crisis with unflappable grace- a flat tire, a burned pizza, an unexpected cancellation. Those are easy. Now, however, I find that for the first time in literally decades, I don’t know what’s next. I’m changing my job and my residence all at once, but I don’t know what either one will be. I know where I’ll be as 2016 ends, but I haven’t got the foggiest idea of where 2017 will take me. I have a vague mental image of finding a dream job and getting the hell out of South Florida with Amelie by my side, but I don’t know entirely what that looks like. I’ve barely had time so far to process the changes that are coming, because I’m still too busy closing the books on all the things that are ending. What stresses you out? How do you combat your stress? I went with Amelie to Megacon, a geekery convention that happens each year in Orlando. If you search this blog for Megacon, you’ll see my photos from several previous years. Yes, I took hundreds of pictures this year as well, but I haven’t had a chance to sort them yet. We saw Shatner and George Takei, Kevin Smith and Jason Mewes, Ming Na Wen and John Barrowman, Kevin Conroy and a whole bunch of Harry Potter actors. Almost all of these people were hilarious. I attended some meetings in Zurich for my job, which meant I got to have a brief visit back to Regensburg. I took many photos of basically all the same things I took pictures of while I lived there, out of a sense of nostalgia. On that same trip, I convinced my colleagues to stop for lunch in Vaduz, Liechtenstein on the way to Zurich. This is my 28th country visited. I had minor surgery on my left shoulder two and a half weeks ago, to remove a fatty tumor called a lipoma. Lipomas are generally soft, benign, and painless, and doctors usually leave them alone unless they’re impeding your mobility or causing discomfort. My lipoma had grown to a rather large size, and was located in a place that did actually cause me some discomfort. It was also growing- the surgeon who removed it said that it was about the size of a grapefruit, but not entirely round. Amelie and I named it Lumpy. The surgery was very fast, but it prevented me from working out or lifting anything heavy for a while. We’ve been to quite a few good movies and concerts in the last few months, including Bernadette Peters and Florence & The Machine. I enjoyed Captain America: Civil War and the Jungle Book, and I was extremely annoyed with Batman vs. Superman. The doctor told me today that I can do normal workouts again, which is great, because I just purchased a new Fitbit. I had a Fitbit One throughout my time living in Europe, and I rather enjoyed seeing how much walking I was doing. The one I purchased now is the Charge HR model, which does everything the One did, plus it monitors my heart rate and has a nifty wrist-band. Also, Fitbit users can friend each other to compete or encourage each other to be active. The “taunt” function is kind of fun. If you have a Fitbit and you want to add me, use stevenglassman42 at gmail. It’s been a little more than two months since my last post. I said that I wasn’t sure if I would come back, and that I had no plans to restart the blog. I’ve come to realize that was short-sighted. I’ve missed writing, even though sometimes it feels like a chore and I don’t always have stuff to talk about. The thing is, when I do have stuff to talk about, I’m excited to write here. I missed you guys. And I do have stuff to talk about, even if it’s not as travel-filled as it used to be. Just yesterday, I had a thing that made me want to blog. I went to the eye doctor for the first time in about four years. The last time I had my eyes examined was just before I moved to Germany in late 2011. Since that time, everything in that office has changed. The plaza was ripped up and new stores were built. The eye doctor’s place of business moved to a new office a few doors down, with a completely rebuilt floor plan. They added more doctors and added a bunch of recent optometry technology. My favorite piece of new tech is this digital camera that takes wide photographs of the inside of your eyes. This isn’t new technology, but it’s new to me, and it’s utterly fascinating. This is my left eye, as of Wednesday afternoon. The photograph shows the inside of my eye. You can see the optic cup, as well as the blood vessels running through my eye. The black slashes at the bottom edge are actually my eye-lashes. The whole thing looks a great deal like some sort of fantastic nebula, and I halfway expect Voyager to come swooshing by at any moment. So: I’m back. I can’t sustain the frequency of posts that I used to run, but I’ll definitely write here whenever I want to share a neat photograph or talk about something that’s on my mind. Onward! So, how have you all been?